Everest Base Camp Trek reveals some of the most breathtaking scenery in the Himalayas. This trek is designed to fulfill the dream of many people to experience the historic route to the base of the world’s highest mountain. Our carefully devised itinerary with a number of rest days offers an exceptional way to acclimatize safely. 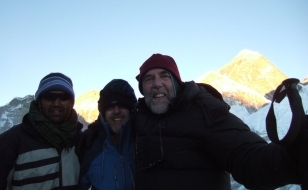 On a trip of a lifetime we have learned never to rush a trek to altitude in the Himalaya and taking an extra few days makes all the difference to really being able to enjoy your trek. A slow ascent through wonderful Sherpa villages allows us time to enjoy the scenery, wildlife and visit a number of monasteries. Our trek culminates with a fine opportunity to trek to both Everest Base Camp and the nearby peak of Kala Pattar (5545m) for spectacular views of Mount Everest. So join and take delight in this high altitude remarkable adventure. 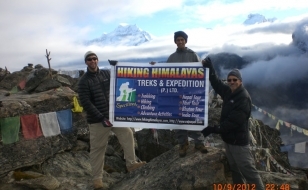 Everest Base Camp trek called most popular high altitude trek. From the tiny airfield of Lukla the trail leads through Sherpa villages, forests of fir and rhododendron and across high suspension bridges meeting caravans of Zobkyo (a yak-cow crossbreed) along the way and from Tengboche the views of Everest, Lhotse, Nuptse and Ama Dablam are sensational. Climbing above the trek line to cross alpine pastures and glacial moraine you eventually reach Base Camp, high on the Khumbu Glacier where colorful expedition tents give a bizarre appearance to this desolate place surrounded by rock, snow and ice. Day 01: Pick up and transfer to Hotel,brifing about the plan. This is a day for acclimatization. We have a fine walk around the valley to adjust with thin air. We will take you to a museum too on the same day. There you can see the traditional custom of Sherpa peoples. Besides, a fine view of the Mt.Everest from Everest View Hotel,Khumjung Village,Khunde and other mountains can be overviewed from this place. By reaching Tengboche, we visit a monastery known as Tengboche monastery. Then you will be taken to observe the prayer ceremony whether in the evening or morning. 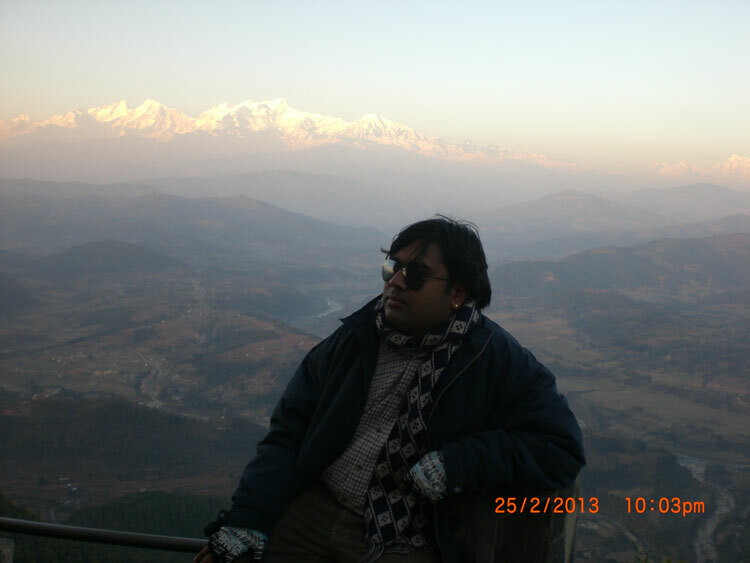 You are going to see beautiful sunset of world Highest Mountains. Day 07: Trek to Dingboche (4350m). Day 08: Acclimatization Day( Hike to Nagarjuna-Hill )for to see Very near view of Mt.Makalu,Amadablom Island peak and more. Today you can enjoy another day for acclimatization. This day we will have trip to Chhukung valley, then we return to Dingboche in the evening. We will take you to Chhukung Ri (5546 mtrs) too. 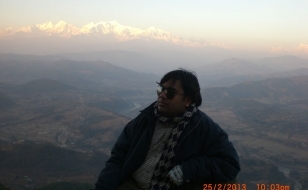 From there, we can observe a fifth highest mountain Makalu. Day 09: Trek to Lobuche (4950m). 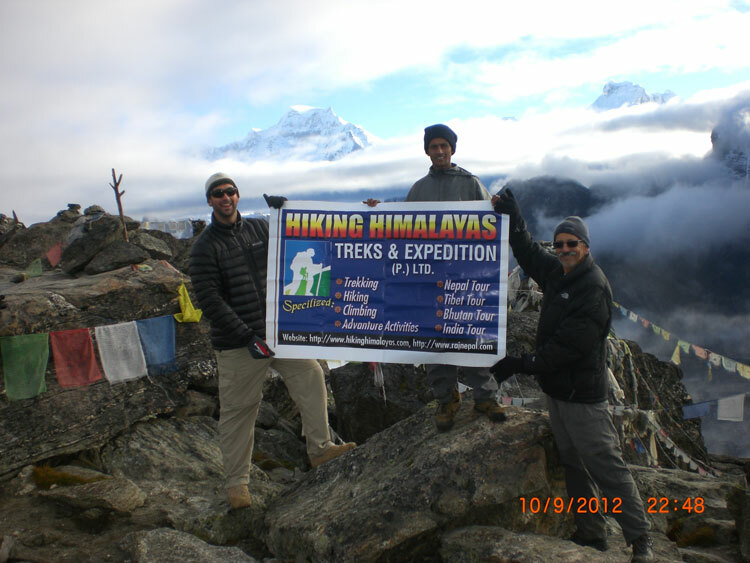 Day 10: Trek to Ghorakshep (5160 M),Everest Base camp (5350m) and return to Ghorakshep over night at Tea house. 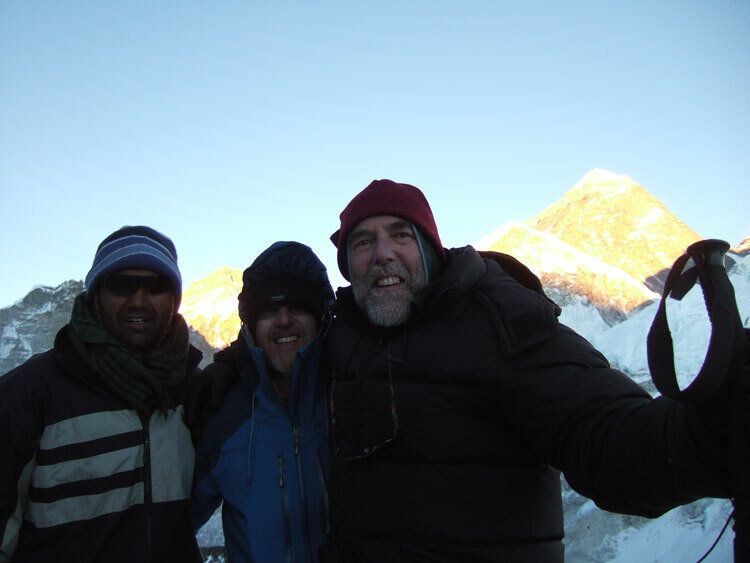 This is the difficult but rewarding day of our Everest Base Camp Trek. We wake up early in the morning and start our hike to Kala Pattar at the elevation of 5555m. The climb is challenging but the climber gets the most superb mountain scenery: Everest, the highest point on the planet at 8848m (29028 feet), towers directly ahead and on all sides emerge the other giants, Nuptse, Pumori, Cholatse, Lhotse and countless others. Then we make a quick plunge to Gorak Shep, a tiny village at 5180m and then trek down to Periche. Overnight at Teahouse. Day14: Trek to Lukla. Overnight at Guest House. Day 15: Fly back to Kathmandu and supping. Day 16: Leisure day in Kathmandu (it's also a spare day incase of any delay in Lukla due to bad weather).